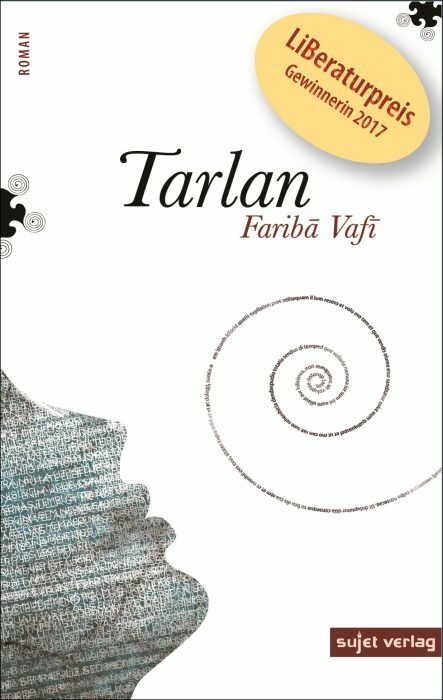 „Tarlān“ offers an unusual insight into the Islamic Republic. The main themes of the story, however, are the experiences of the central character Tarlān and her friend Rana during their time at the police academy and their escape into literature and writing. Faribā Vafī was born in 1962 in Tabriz, the capital of the province East Azerbaijan in Northwest Iran. She currently lives in Teheran and is regarded as one of Iran’s most popular living authors. Iranian critics place her in the top 10 of the country‘s modern authors. She has been awarded the prestigious Huschang-Golshiri Prize and the Yalda Prize. „Tarlān“ (2006) is her second novel. It was translated from Farsi into German by Jutta Himmelreich. –Andrea Meisel, March 2016, Virginia. The full review can be found here. „During her time in the barracks Tarlan makes notes for a „Panorama“ and a „Black Book“ that she wants to write. And with her second novel Fariba Vafi has succeeded in writing precisely that sort of panorama about the young Iranian Republic from a female perspective. – Behrang Samsami, January 2016, literaturkritik.de. The complete review can be found here. – Maryam Aras, June 2017, faustkultur.de. The complete review can be found here. 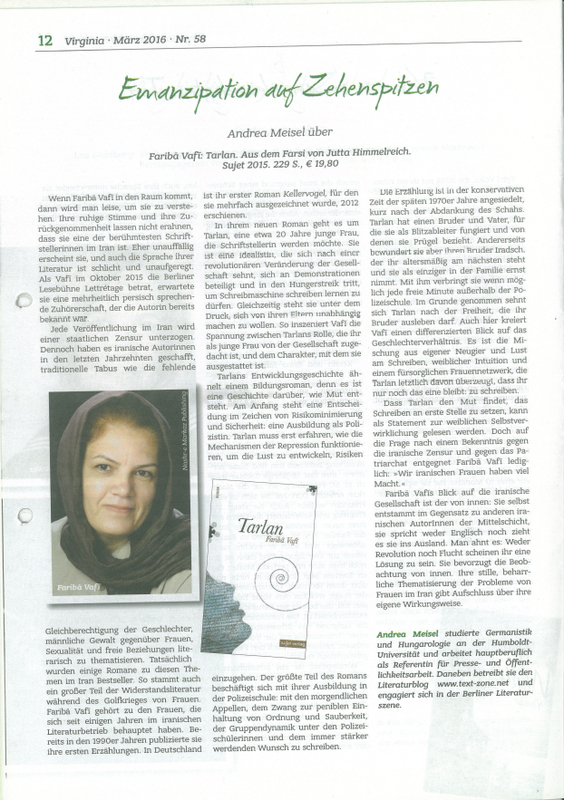 – Fariba Vafi in conversation with Maryam Aras, June 2017, Qantara.de. The complete interview can be found here. – from wirlesen.org. The complete article can be found here. Another article of radiozamaneh in Persian can be found here.